Attend any one course free up to three times. Simply sign up at the IHOPU Welcome Center to obtain a visitor permission slip and present the permission slip to the instructor’s assistant. Shuttles to Hope City from the Red Bridge Center are available on Monday, Tuesday, Wednesday, and Friday. Shuttles leave at 9am from outside Higher Grounds, and return at 1pm. For those who want to participate in Hope City’s evening services (Monday and Friday, 6–8pm), shuttles leave at 5pm from outside Higher Grounds. The All Nations Prayer Room has two-hour prayer and worship meetings in nine languages: Arabic, Chinese, Korean, Spanish, Russian, Portuguese, Farsi, French, and German. Prayer meetings for families with children; special needs children welcome. Prayer meetings are held at the CEC Blue Ridge Building, 830 Blue Ridge Boulevard, Grandview, MO 64030. Moms’ Ministry supports and encourages moms of all ages on the wonderful journey of motherhood, whether newly expectant or a seasoned mother and grandmother. We invite you to join in our activities if you are in town for a visit, especially the hugely popular monthly Thursday evening meeting at IHOPU—a night out for mom, featuring a guest speaker, time to visit with friends, homemade finger foods, and special events. Email moms@ihopkc.org for more information or to sign up for our e-newsletter. These meetings are held in the Multi-Purpose Room at the Red Bridge Center, 3535 Red Bridge Road, Kansas City, MO 64137. 7M-pact is a community of men and women from all spheres of society who desire to bring God’s presence to their place of influence through building excellent leadership, focused vision, and strategic relationships to transform our world. Join our workplace prayer meetings on Mondays, 6–8am, in the Global Prayer Room. 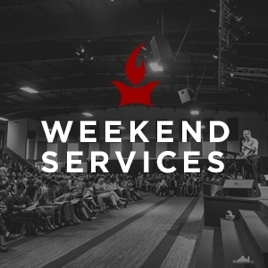 Join us for our Encounter God Service every Friday evening, and for our Forerunner Church services Sunday mornings. Come to Kansas City for a weekend, a conference, or a camp to encounter the Lord and learn more about Him, His Word, His purposes, and His plan for your life. Experience an eight-day immersion into the life of an intercessory missionary at IHOPKC, perfect for people in the workplace, home, and ministry who don’t have the time to join an internship. Come encounter God in the prayer room, in the classroom, and at our weekend worship and teaching services.